I have embraced a “clean eating” philosophy, to keep my fibromyalgia symptoms at bay. 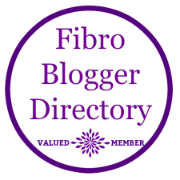 I have adopted many lifestyle changes over the years that I truly believe have lessened the impact fibromyalgia has on my life. Fibromyalgia syndrome is a condition thought to affect up to 400 million people worldwide, or 5% of the population, according to the National Fibromyalgia Association. It is characterized by widespread pain and fatigue, with 18 key trigger points in the body. There are also a myriad of other symptoms, and I would venture to guess that none of us have the same symptoms, the same level of pain, or achieve pain relief from the same things. Fibromyalgia is still somewhat of a medical mystery with no silver bullets or miracle cures on the horizon.